An arms dealer confronts the morality of his work as he is being chased by an Interpol agent. 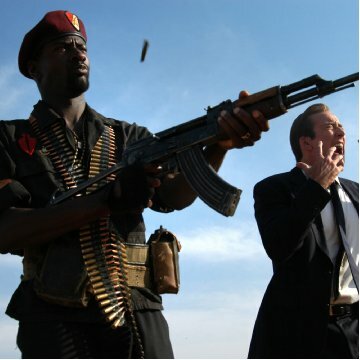 This film charts the rise and fall of Yuri Orlov, from his early days in the early 1980s in Little Odessa, selling guns to mobsters in his local neighbourhood, through to his ascension through the decade of excess and indulgence into the early 90s, where he forms a business partnership with an African warlord and his psychotic son. The film also charts his relationship through the years with his younger brother, his marriage to a famous model, his relentless pursuit by a determined federal agent and his inner demons that sway between his drive for success and the immorality of what he does. Taglines: He Sells Guns... And He's Making A Killing. The Antonov An-12 airplane number 9Q-CIH filmed in the movie was owned by a Russian citizen Evgeny Zakharov. On January 8, 2005, the plane crashed at Bukalaza, Uganda; all six crew members were killed. The plane departed Entebbe airport with destination Kinshasa. It was reportedly carrying humanitarian relief items. Revealing mistakes: Both times Yuri takes Vitaly to rehab, the exact same close-up shot of Yuri's hand pouring cocaine out of a vile on to the arm rest of their limo is used. It is colored differently the second time it is used, but it is still the exact same shot. Yuri Orlov: [voiceover] You don't have to worry. I'm not gonna tell you a pack of lies to make me look good. I'm just gonna tell you what happened. Atop a hillside in Liberia overlooking an impending village massacre once the arms deal settles, Nicolas Cage's Yuri pleads to his conscience rattled brother Vitaly (Jared Leto), "It is none of our business!" Writer and Director Andrew Niccol's "Lord of War" is all about the big business of war, and the cost of selling one's soul. 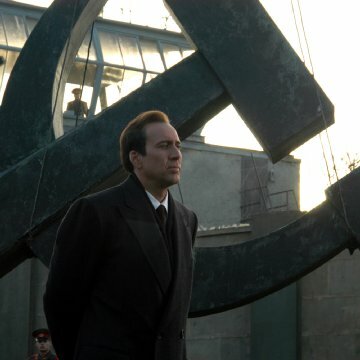 That lost soul is Yuri Orlov played masterfully by Nicolas Cage. Cage as Yuri also narrates the story. Niccol sets the warped and dark tone in the opening sequence of the manufacture of a bullet to its final destinationso to speak. Yuri comments that there is one firearm for every 12 people in the world. So the question is "How do we arm the other eleven?" 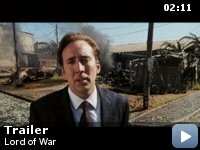 Niccol's "Lord of War" is not so much a clever indictment of humanity, rather an acknowledgment of perhaps humanity's darker nature. 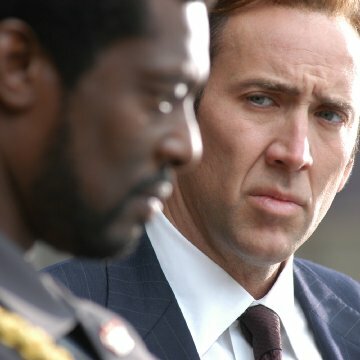 In a poignant and chilling realization for Yuri (Cage) he says, "They say that 'evil prevails when good men fail to act.' It should be 'evil prevails'." I don't think this is cynicism on Niccol's part, rather only stating what is so given all of history and now. He certainly makes us think from the inside out. Yuri Orlov (Cage) is from a Ukrainian family in Little Odessa, NY. As a young man he has an epiphany witnessing a Russian mafia hit. Being an arms dealer is the path to success. He finds that he also has an innate gift for his chosen profession. He enlists his brother Vitaly (Leto) into the business. "Lord of War" traces the Orlov brothers over the course of 20 yearsthrough the end of the Cold War to the advent of terrorist threats and dictatorships in third world countries. Yuri truly becomes the Lord of War supplying arms to anyone and any country for a profit. He also acts as an independent agent for undisclosed countries supplying arms to "freedom fighters". One gets the drift. Yuri eventually hits his stride and becomes very successful and very wealthy. He marries his trophy bride, supermodel Ava Fontaine (stunning Bridget Moynahan), has a son, and living in a luxury apartment in Manhattan. All the while he eludes the grasp of Interpol Agent Jack Valentine (very good Ethan Hawke), by keeping three steps ahead. Predictably Yuri's world comes crashing in upon him. In a powerful scene with Ava who purposely ignores what her husband really does for a living, Yuri has a conscience meltdown. The actors in "Lord of War" are great. Nicolas Cage is such a powerful and versatile actor. I don't think any other actor than himself, could enroll sympathy as arms dealer Yuri. Cage gives Yuri a subtle detached edge and an expert in context. 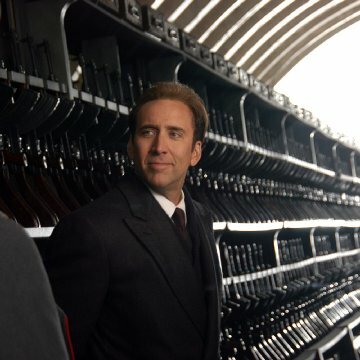 Cage knows he is in morally bankrupt position, and he uses his smarts and sense of humor to rationalize that he only supplies the weapons to men who do evil. Yuri is the ultimate poster child for "Guns don't kill people. People kill people." Jared Leto is surprising as the coke head brother, who eventually cops to the monster he has becomethe counterpoint to Yuri. 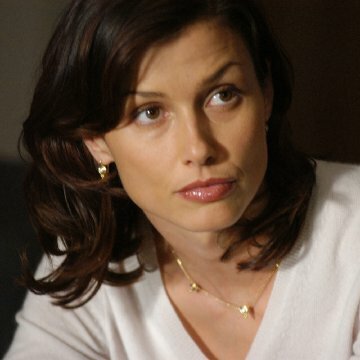 Bridget Moynahan is deceivingly powerful as Ava, the former model aware that her asset of being pretty is fading, and closes her eyes to what her husband does until it is too late. Moynahan is stunningly beautiful and has distinctive grace and vulnerability. Ethan Hawke as Jack Valentine is the intrepid idealist saving the world from the likes of Yuri. Hawke is very strong and compelling. 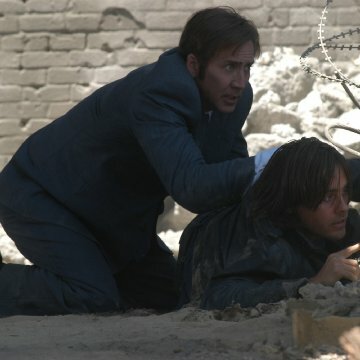 Andrew Niccol's "Lord of War" ends and the world continues on. The echoes of Yuri voice, just "evil prevails" is a chilling and poignant reminder. 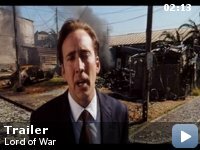 Nicolas Cage is brilliant as the lost soul in "The Lord of War". "The Lord of War" is one the year's best.